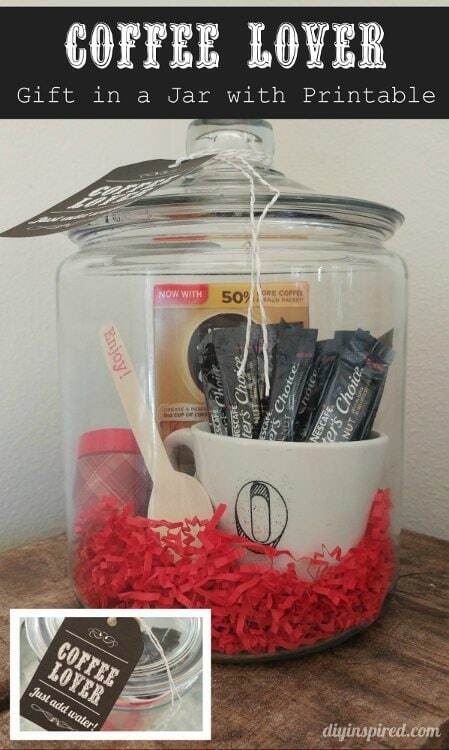 This article, Coffee Lover Gift in a Jar, is sponsored by After taking the NESCAFÉ® Taster’s Choice® Coffee. All opinions are 100% my own. I represent the definition of an ultimate Coffee Lover. I drink it every day. Occasionally I drink it morning, in the afternoon, AND at night. One of the hardest things I have ever had to do was reduce my coffee intake when I was pregnant (not really…but you get my point). Before kids, I used to make an entire pot of coffee for myself, and reheat it throughout the day. Now, after kids, I drink about 1-2 cups a day, but when I do, I thoroughly enjoy it. I savor every sip. Before I continue, let’s talk GIVEAWAY… in honor of National Coffee Day on September 29th! How to Enter: First, Click on this link and visit Nescafe. Second, come back to this post and leave a comment sharing something new you learned about Taster’s Choice. That’s it! Rules: Must be 18 or older and live in the US. Giveaway ends October 6, 2016. 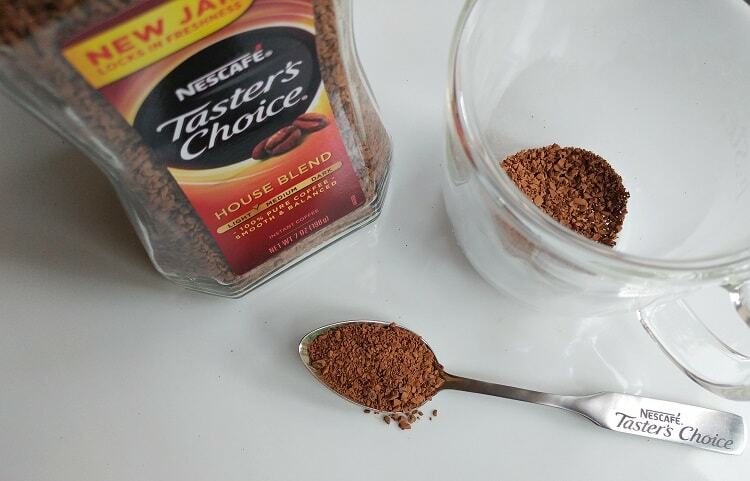 When I heard about the NESCAFÉ® Taster’s Choice® Coffee Challenge, I had immediate interest. I’ve always wanted to try instant coffee, but my morning routine is habitual, so it is easy to forget. 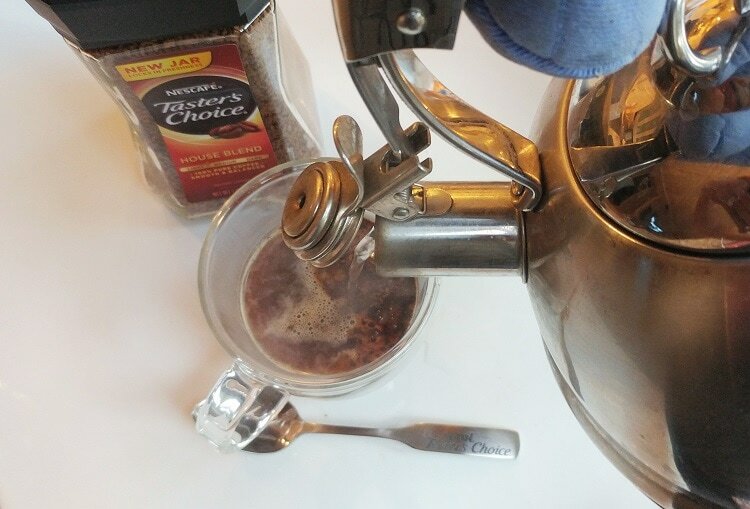 This challenge is about switching your coffee routine, replacing it with NESCAFÉ® Taster’s Choice® Coffee, and realizing that well-crafted coffee can be made simple. Anything to make my day simpler sounded great to me. 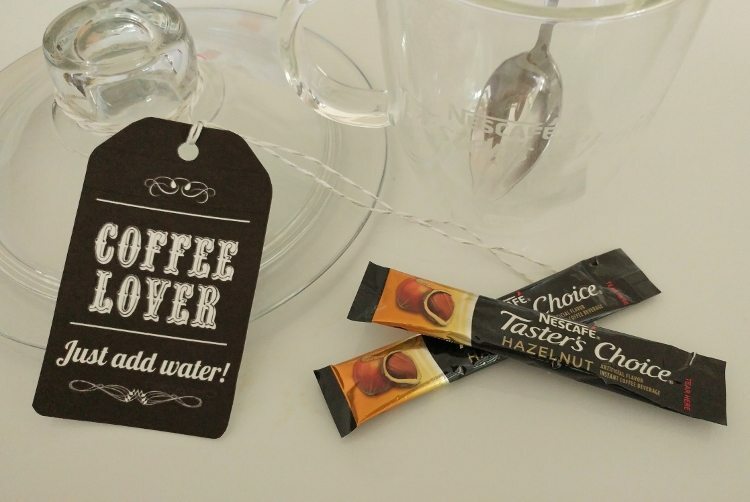 The NESCAFÉ® Taster’s Choice® stick packs were perfect for me, because these days I only drink one cup of coffee at a time. The first time I tried it I loved it, and all I had to do was add hot water and stir. It tasted freshly brewed and went well with my favorite almond creamer. I have also tried mixing it with cold water and adding ice for an iced coffee. It’s quick, easy, and tasty. I am on Day 4 now and I have to admit, I could get used to this. 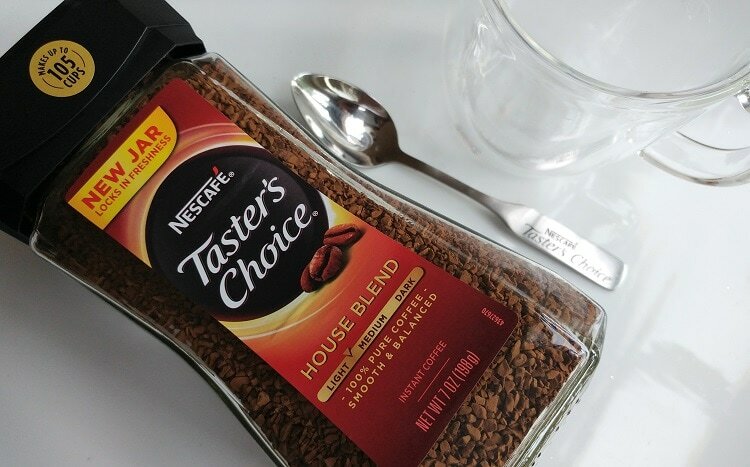 NESCAFÉ® Taster’s Choice® also introduced a new 7 oz. jar of 100% pure coffee that locks in the freshness. You can make up to 105 cups of coffee! This jar is great because you can make as much or as little coffee as you want and personalize the dosage. You can get French Roast, House Blend, or Decaf House Blend. When it comes to Decaf coffee, you may not know it, but there are many brands out there that provide just this. Just like with tea, there are many to choose from. If you are someone who prefers decaf instead of regular coffee, it might benefit you to look into a site like neptune coffee, to find out what some of the best decaf coffee beans are. You might as well go for the best, especially if you drink coffee regularly. I tried the House Blend and it is SO good. I like a strong cup of coffee so I use a heaping teaspoon (plus a little extra!) in my cup. If you’re anything like me, you’ll live for coffee, in which case you should check out The Full Moon Cafe website, a virtual cafe where you can find comprehensive brewing guides, equipment reviews, and coffee facts! I was so inspired that I wanted to pass this challenge along. 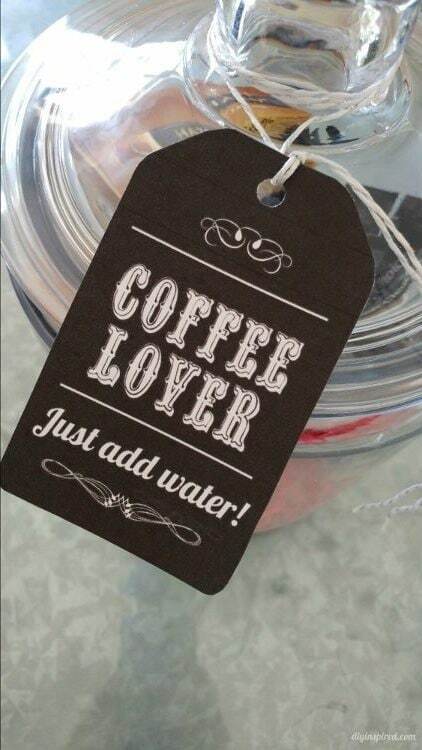 To help, I came up with this Coffee Lover gift in a jar printable you can print for free and pass it on to a friend. I took a medium sized glass cookie jar. Inside I put 2 boxes of NESCAFÉ® Taster’s Choice® stir sticks; one in the box and more inside a coffee cup that I stenciled. I also added a spoon and a small jar of cinnamon to sprinkle in your coffee. You can also use cocoa or vanilla. 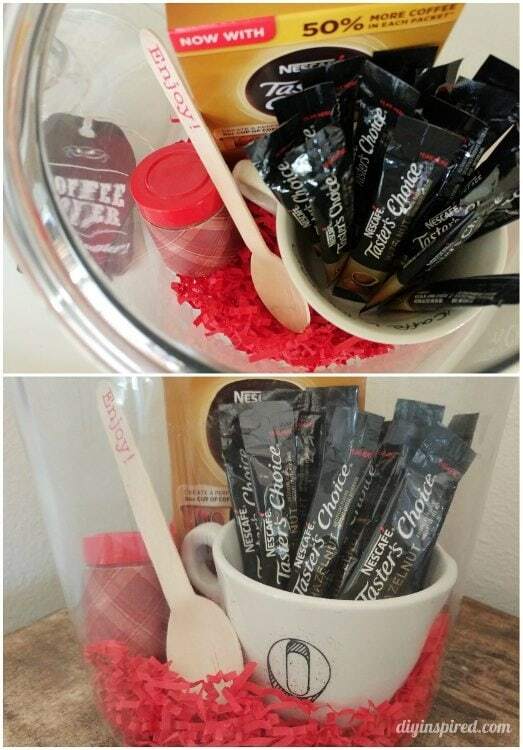 You can also put in a variety of stir sticks like, hazelnut, vanilla, house blend, french roast, or 100% Colombian. Just print out the tag, cut it out, and pass it on! I hope you try it out! Visit the NESCAFÉ® Taster’s Choice® website for more details. Let me know how it goes! I learned that they have individual packets so you can have coffee on the go! I learned from the Nescafé Taster Choice’s link is that NESCAFÉ Taster Choice was also the first coffee on the moon when they hitched a ride with the Apollo 11 crew for the first moon landing. Wow, didn’t know they’ve been around since 1938! That’s incredible! Love that they made coffee for the astronauts, those coffee cubes look so cool! I learned they have single packs, perfect for travel! Also they first intoduced Nescafé in Switzerland! I look forward to trying instant coffee after reading this! I didn’t know that they use responsibly sourced beans! That’s huge! They flash freeze the coffee to lock in the signature smooth and well-balanced flavor. I learned that they are the world’s leading coffee brand and Tasters Choice is available in over 180 countries with 5,500 cups consumed every second. Thats awesome!! I learned that their coffee is available in over 180 countries and 5,500 cups are consumed every second. That’s a whole lot of coffee!